You are here: Home / Blog Entries / How Long Will It Take to Become a Paramedic? One of the most common questions for those interested in becoming a paramedic is “how long will paramedic training actually take?” And the honest answer is that it varies, as each program has a different set of hours devoted to didactic instruction, clinical experience and field internships. If you’re simply interested in becoming a paramedic sooner rather than later, you might opt for a Paramedic Certificate. This can often be earned in less than a year. Conversely, if you’re interested in not only being a paramedic but advancing further in health care, you might choose a college that offers students an Associate Degree. 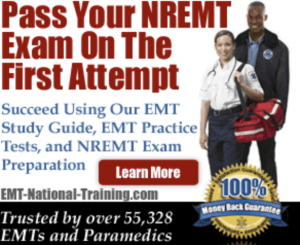 A quick note for those planning to take the NREMT exam: if you’re serious about passing the NREMT test, you can find online EMT and Paramedic practice tests that will try to help you pass the examination on your first attempt. At a school like Chemeketa Community College in Oregon, for example, students are actually offered two-degree program options. In one, students can earn an Associate of Applied Science degree in Emergency Medical Technology. This requires students to take general education courses as well as technical courses devoted to Emergency Medical Technology. The college also allows for students to earn a Paramedic/Fire Dual Degree, which requires students to first apply to the Fire Science program for admission. Once that program is successfully completed, students may then apply to the Paramedic program. In general, it can typically take a student anywhere from 6 months to two years to become a properly trained and educated paramedic. And this is dependent upon the school and program to which you’re enrolled. At Indiana State Health, for example, the paramedic program lasts ten months. Other schools, like California’s City College of San Francisco, offer students an 18-month paramedic program. Some schools offer accelerated and online training, too. A school like Johnson County Community College in Kansas offers a Hybrid paramedic program, which helps students become a paramedic through online education as well as classroom instruction. 3 Steps You Must Take to Become a Paramedic? I am already an EMT and would like to start paramedic training for California license while I am still with the military here in Germany. I will be living near San Diego when I leave the military. Is there anyone in California offering on-line training so I can do part of it before coming back home?